Exchanging your console for a PlayStation 4 just got a little sweeter. Unless armageddon ruins everyone's plans, the PlayStation 4 will touch down next week. And, unsurprisingly, GameStop is gearing up for the celebration. Today, the company announced that it will be holding a supped-up trade-in event for those of us who may need a little help in paying off that console. On November 10th, GameStop will be allowing players to trade their previously owned hardware, software, and consumer electronics toward the purchase of a PlayStation 4, and anyone who unloads an old console will triple their trade-in value. 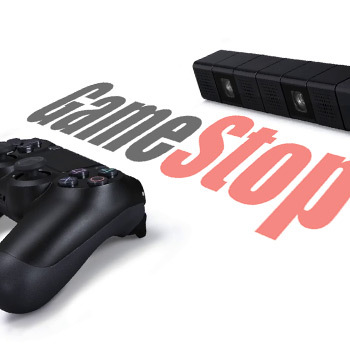 "Utilizing GameStop's buy-sell-trade model, our customers will receive the most value for their current generation consoles and games, something no other retailer is offering," said Darron Nielsen, GameStop's merchandising specialist. "This allows consumers the ability to purchase a PS4 at a more affordable price, making it more accessible for gaming fans." GameStop insists that this will increase your old console's trade-in value by up to 90 percent, but, like I said, the credits must be applied to a PlayStation 4. Sorry, Microsoft fans. PlayStation 4 pre-orders have been sold out for months, and some retailers are reporting that the console is backordered past the holiday season. So, if you're not absolutely positive that you've got a PlayStation 4 on reserve, its probably not the best time to trade in your current-gen console. The holidays are already hard enough to endure without the sweet, sweet opium of videogames. Trust me, you wouldn't survive without a console.